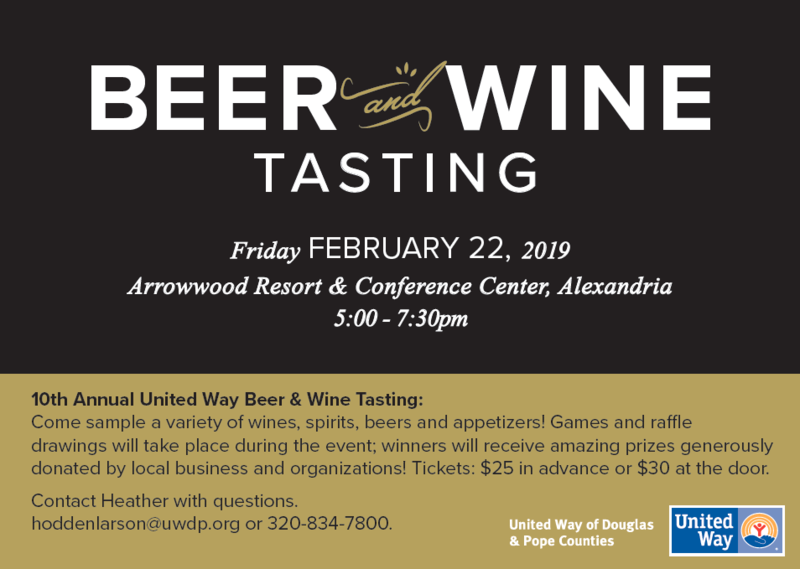 Join us at the 10th Annual United Way Beer & Wine Tasting! Come sample a variety of wines, spirits, beers, and appetizers! Games and raffle drawings will take place during the event; winners will receive amazing prizes generously donated by local business and organizations. Tickets: $25 in advance or $30 at the door!